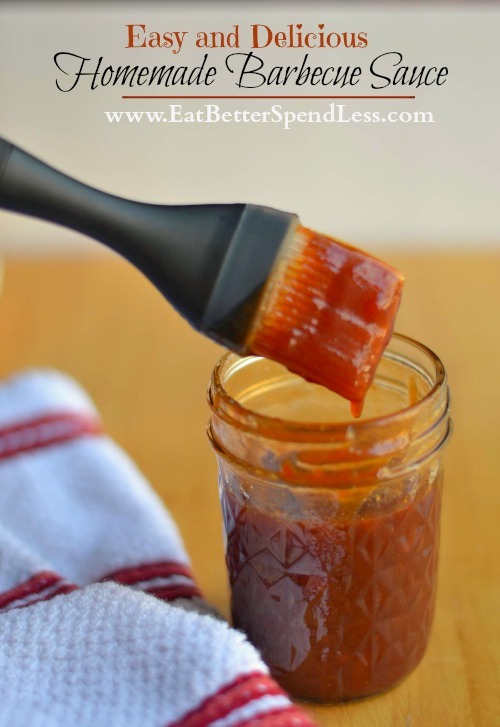 You’ll never need to buy barbecue sauce again! My “Grammy Winnie” was an amazing cook, which worked out well because she and my grandfather owned sporting camps in Northern Maine. She spent her days cooking for hunters and fishermen. They lived far from any type of store, so she had to shop carefully and make almost everything from scratch. I really can’t remember what she used barbecue sauce for, barbecue isn’t exactly a New England specialty. But somewhere along the way I came into the knowledge that she was in possession of a recipe. So, I asked her for it and now I’m sharing it with you. 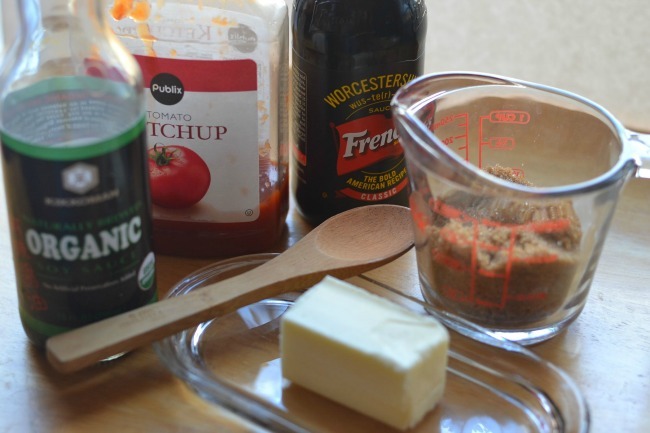 I can’t believe it only has five ingredients, is ready in five minutes, and yet, it actually tastes like barbecue sauce! It’s so easy! Just put it all in a saucepan and stir. Let it cook on medium-low until the butter has melted and sugar is dissolved. This makes a pretty big recipe. Along with using it to make super-yummy BBQ burgers, you can use it to make this shredded chicken recipe. 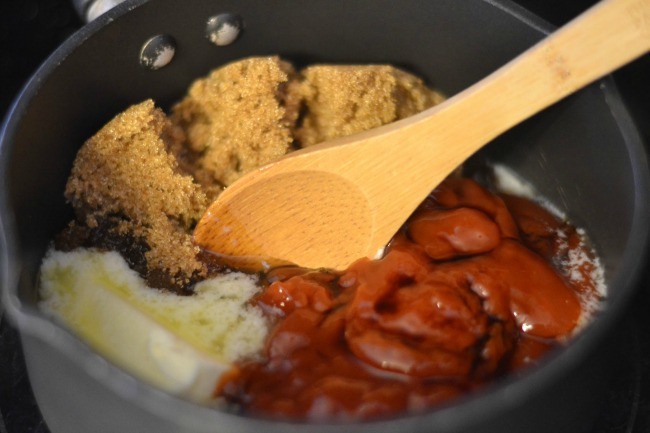 Just mix the ingredients in a saucepan and heat until butter is dissolved and everything comes together. *This recipe is gluten free if you use gluten free soy sauce. This is very similar to a recipe my mom gave me except you add 1 Tbs of either vinegar or lemon juice for a bit more tang. Loved this sauce growing up. Makes the best pork ribs. My husband loves things spicy hot so for him I add chili powder and a ton of red pepper flakes.